It has become a TRADITION in Yankee land that as Spring Training comes to an END and teams heads NORTH, their first baseman Greg Bird is heading to the DISABLED list. This time around it is ANOTHER surgery on his right leg which bothered him for the MAJORITY of last season. In my preview of the Yankees batting lineup last week, I talked about how GOOD the Yankees can be if they got a FULL healthy season from Bird, that is NOT going to be the case this season. He is going to be out until at least June and the way his Rehab assignments have went in the past, I would be SHOCKED if he appears in a Yankees game before the All-Star game. Bird came onto the scene as the FIRST Baby Bomber back in 2015 and was the STARTING first baseman in their Wild Card game that year. 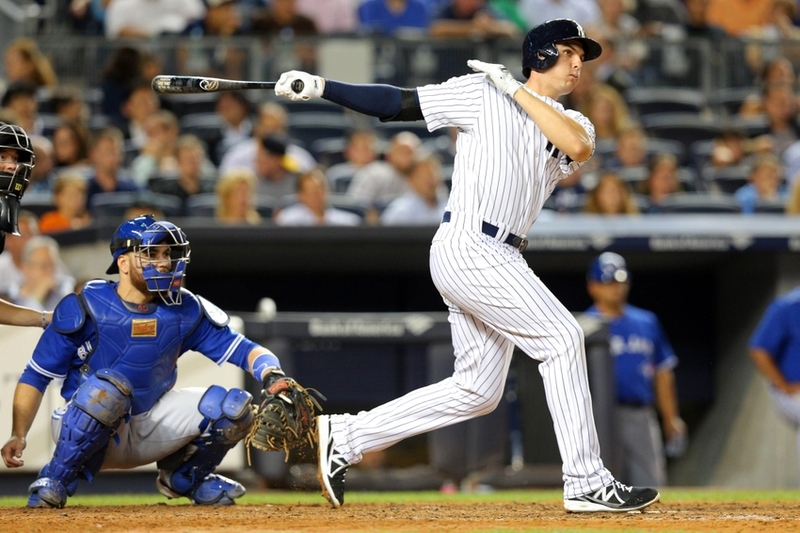 With Mark Teixeira nearing the END of his career, Yankee fans were ready to ACCEPT Bird as the first baseman of the future in 2016, but he was OUT for the whole season with a shoulder injury. The Yankees needed a BACKUP first baseman that year but Bird was not the answer for them. Last year after coming back from the shoulder injury, Bird was the BEST player in all of baseball during Spring Training but his ankle started to bother him towards the END of Spring Training and he was one of the WORST hitters in baseball for the first couple of weeks of the seasons. He was sidelined with an ankle injury and did not get healthy till the playoffs. He had some BIG hits in the playoffs so the expectations were HIGH again for him this season, but he will again miss the MAJORITY of the season. It seems like Tyler Austin and Neil Walker are going to be the REPLACEMENTS at first baseman until Bird comes back, but NEITHER of them has the potential to be as good as Bird in the MIDDLE of the Yankees’ lineup. One of the good things about having a STACKED lineup for the Yankees is that they are not going to miss Bird as he was never the PRIMARY or SECONDARY offensive option for the team. He added a lot of DEPTH to the Yankees lineup, it will be INTERESTING to see if his replacements can match that. I am not really mad at Bird for his LONG list of injuries, I am just sad for him that he can NEVER be healthy going into the season.